Well colour us excited. 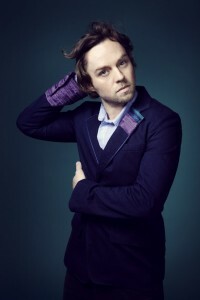 We wake this morning to discover that Darren Hayes has officially signed with Mercury Records Australia for the release of his upcoming album. Though details for the new project are still a little sketchy, Universal Music said in a statement this morning that Darren has co-written the project with some of the biggest names in the pop business including Steve Robson, Carl Falk and Walter Afanasieff. Further details about the new single and LP, along with “tour announcements”, are forthcoming. asdfghjkl;!1!! I’m so excited about this! Darren’s music is consistently far superior to anyone else’s. This album’s going to be huge!